Get ready, JConcepts has reached new ground with the Ford Raptor SVT Rustler body. 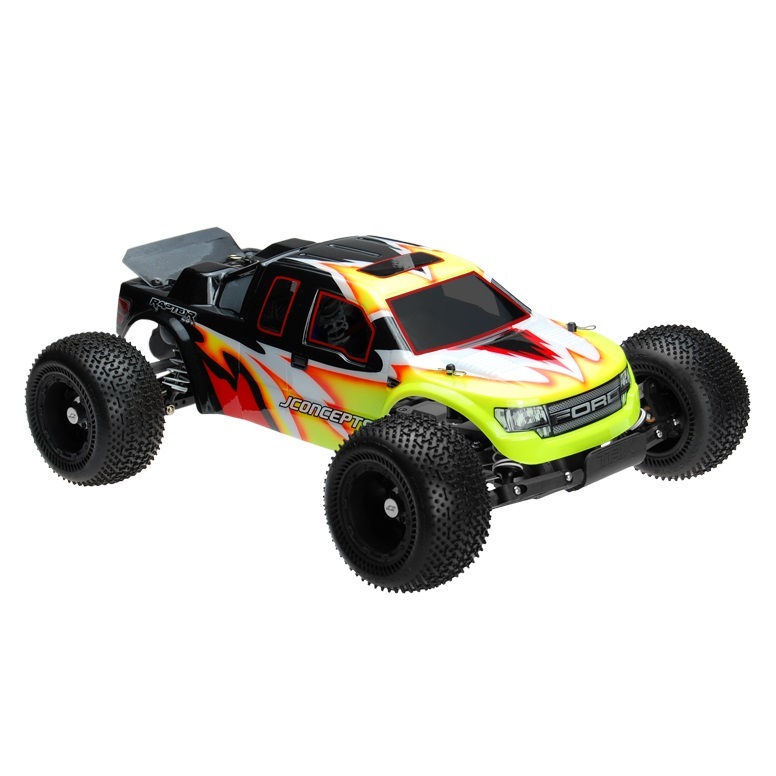 Officially licensed by Ford, the JConcepts Ford Raptor SVT body, specifically for the Traxxas electric Rustler, is inspired from the ground up as a scale platform to turn the Rustler into an off-road racing looking street-wise machine. The Raptor SVT – F-150 body by JConcepts begins with the latest in 1:1 truck detail by incorporating the latest treatment in grill and headlight design with pronounced bumper, adding street appeal. Front and rear fender flares provide the clearance necessary to run an assortment of tires and wheels while maintaining that exclusive design. Crew cab design with recessed side windows, louvers along the front hood and sun-roof outline highlight a number of the front-end styling cues. Roll-bar inspired rear bed area with incredible detail which includes an optional rear spoiler to finish off this extraordinary, tough design.